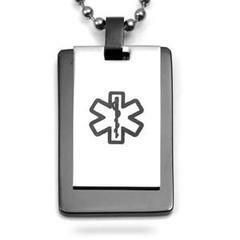 Our stainless steel and black plated double medical id dog tag necklaces adds style and shows your unique medical id and features a black medical alert symbol. 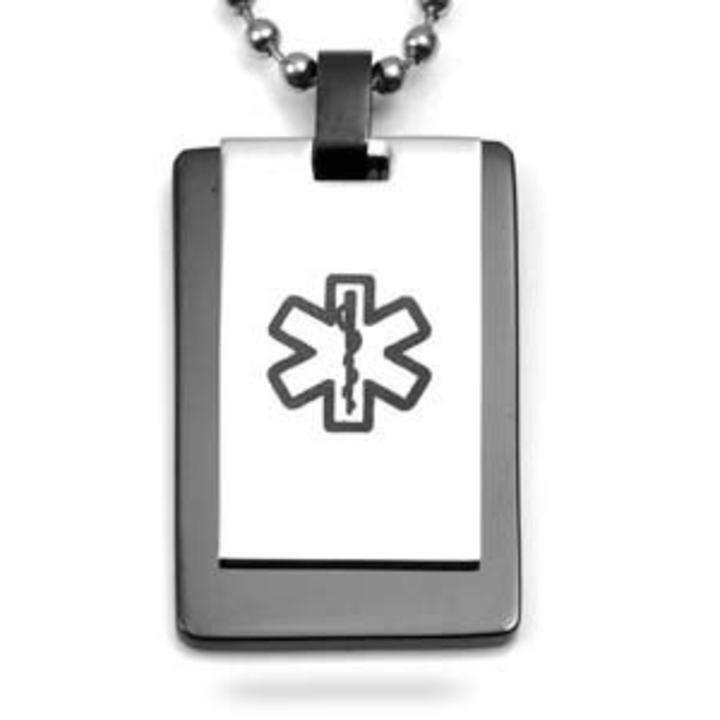 This features 316L surgical stainless steel dog tag (Charm1) can be engraved in black laser, whereas the black plated dog tag (Charm2) is done in a laser engraving which removes the black plating to create a high-contrast inscription. Engraving will be in landscape in order to fit the greatest amound of engraving. We do not charge for engraving. You can cut the 30 inch chain to the size you need it to be.